What do you make for dinner when you want something nice and you haven’t planned? It happens here usually when I have been extra busy and I am thinking more about work. This happened recently. Suddenly it was Saturday night and I remembered how nice it is to come home from church with a meal ready to enjoy. 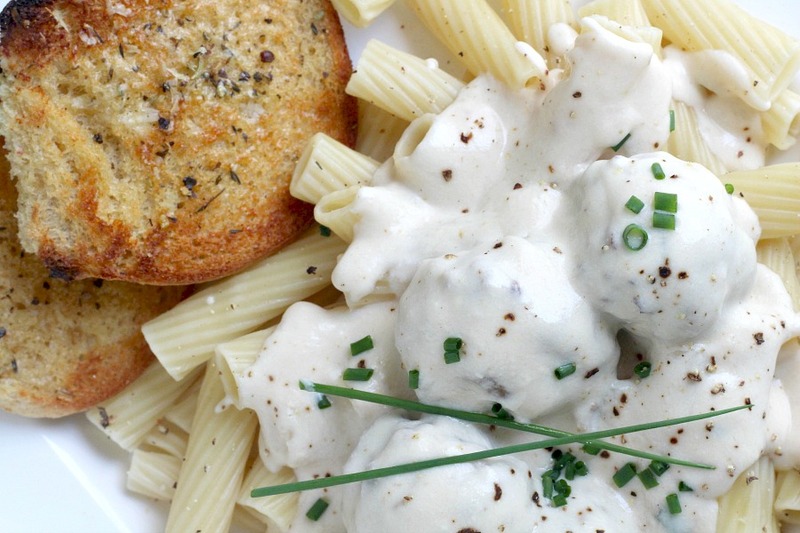 Swedish Meatballs to the rescue. They are delicious, filling and a plateful looks special too. After a quick glance into the freezer to see what was there, I found a one-pound package of ground beef. A box of pasta from the pantry and I was onto a few ideas. We like meatballs in all sorts of ways but I had been thinking about something other than a red sauce. Swedish meatballs would be the perfect change. But with a white, creamy gravy. I didn’t even want a brown gravy. With a few other staple ingredients from the fridge, we were able to sit down to a lovely, relaxing meal. Just as Sunday should be. 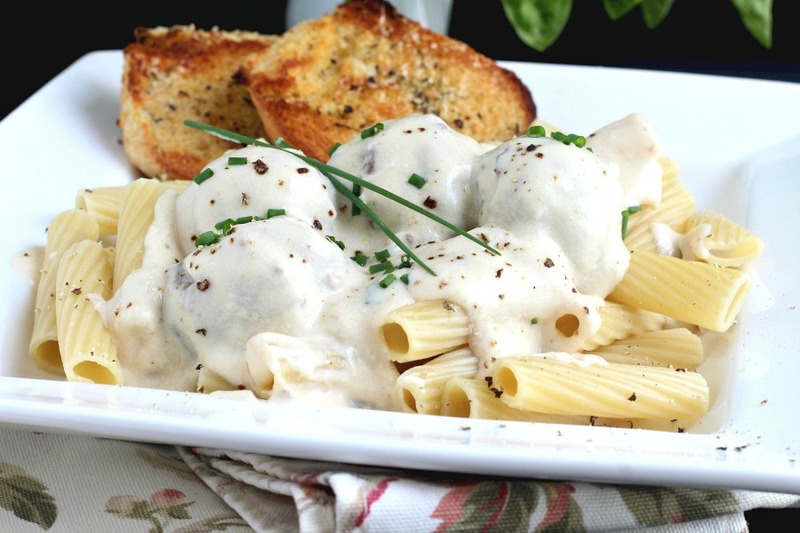 Garlic bread is a favorite side to pasta dishes here in our house. I have even observed some friendly banter over who gets the last piece (or two or three) among the guys. A cinch to make and great when you have some leftover bread, roll or burger buns that need using up. Slice the bread or rolls, if need be, spread with softened butter, sprinkle with garlic powder and some of your favorite Italian spices. Top with grated cheese like Parmesan or cheddar and toast in the toaster oven or regular oven until golden brown. 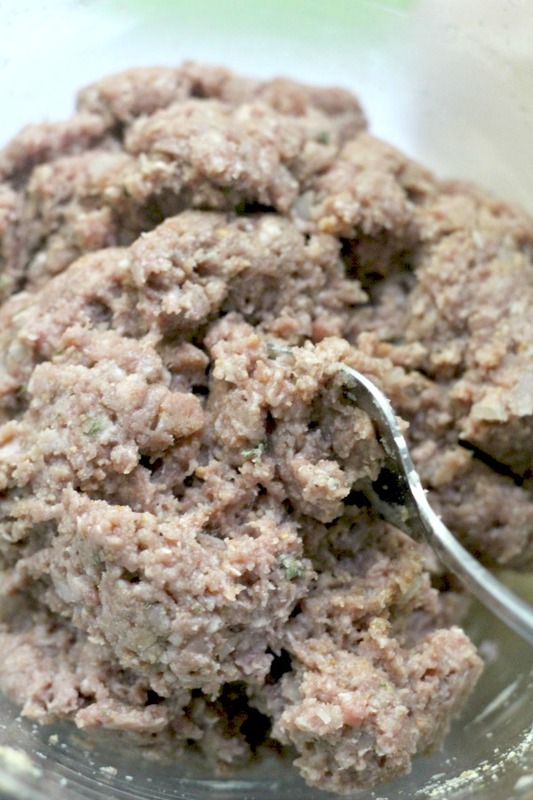 Add the meat, eggs, breadcrumbs and other meatball ingredients to a large bowl. Don’t skip the ground nutmeg! Gently toss the mixture together until combined. Shape into balls using your hands or a scoop. 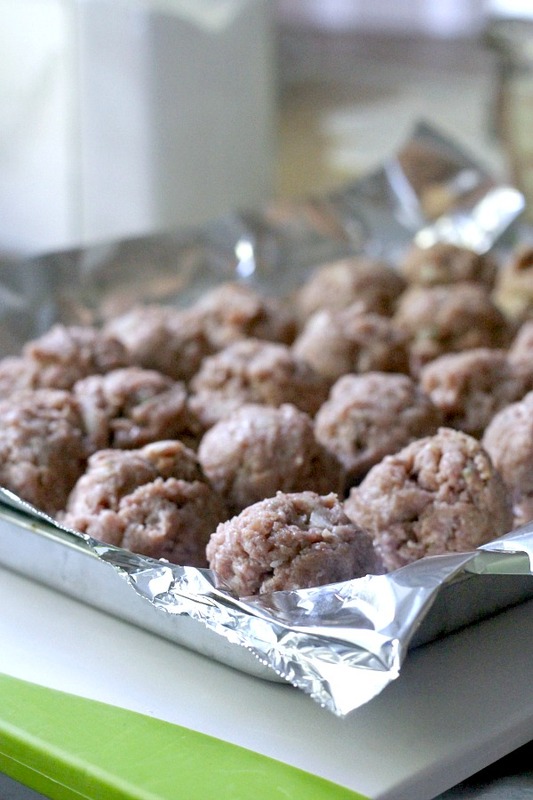 Drop the meatballs onto a foil lined pan and bake in the oven until just cooked through. 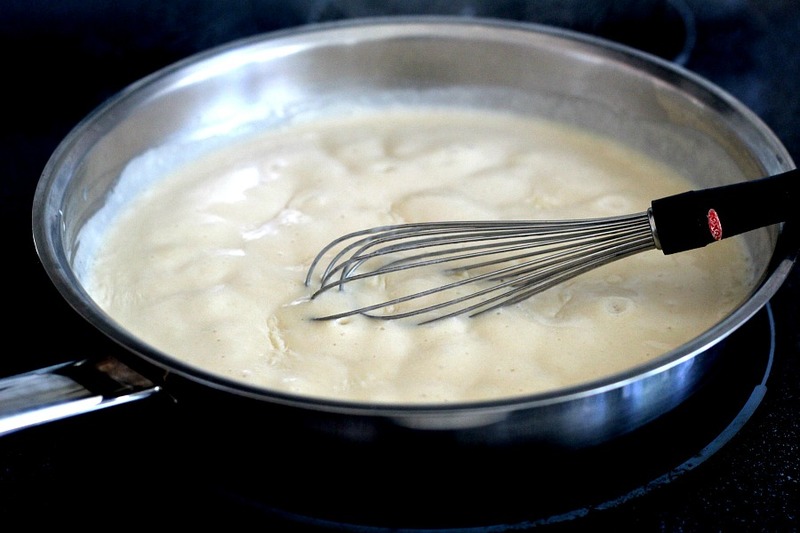 Make a roux with the butter and other ingredients; cook and whisk until thick; stir in the sour cream. Finally, add the meatballs to the pan to heat through. Recipe note: At the time I made this recipe I had only 1-pound of ground beef and no ground pork, so I slightly reduced the other meatball ingredients. 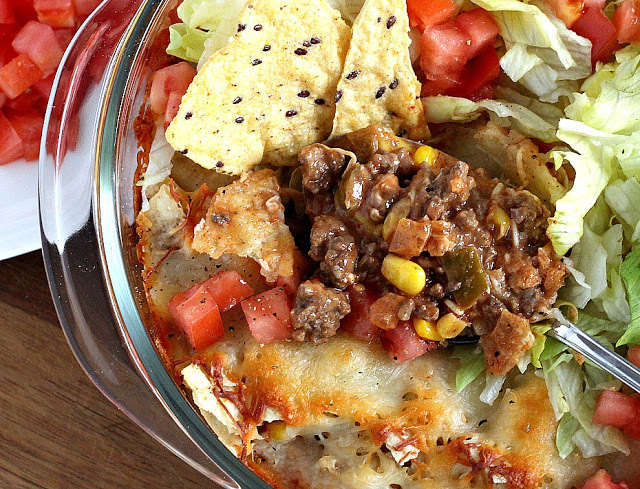 We wished we had more, so definitely use the 1 1/2-pounds of meat. You can make the meatballs with all beef or beef and pork. Preheat oven to 400 degrees F. Line a baking sheet with aluminum foil and sprayed with nonstick cooking spray. 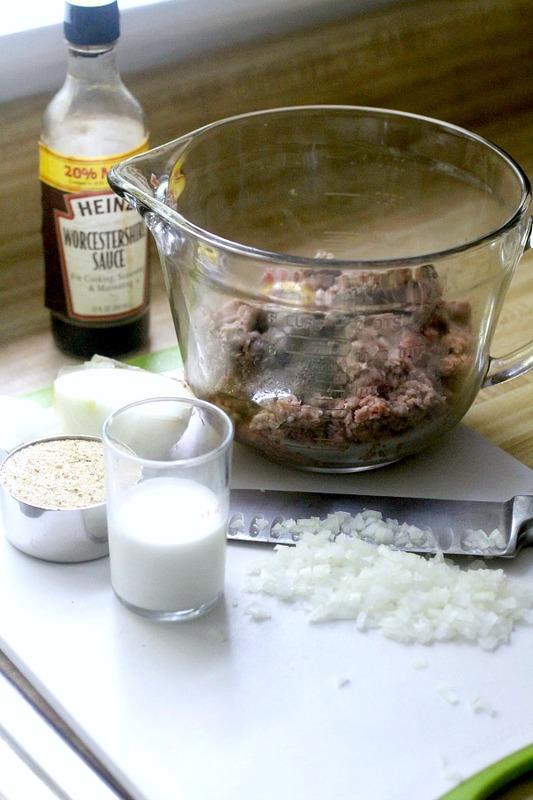 In a large bowl, combine the beef, pork, onion, breadcrumbs, parsley, salt, pepper, milk, Worcestershire sauce, egg, milk, parmesan cheese and nutmeg, tossing until thoroughly mixed. 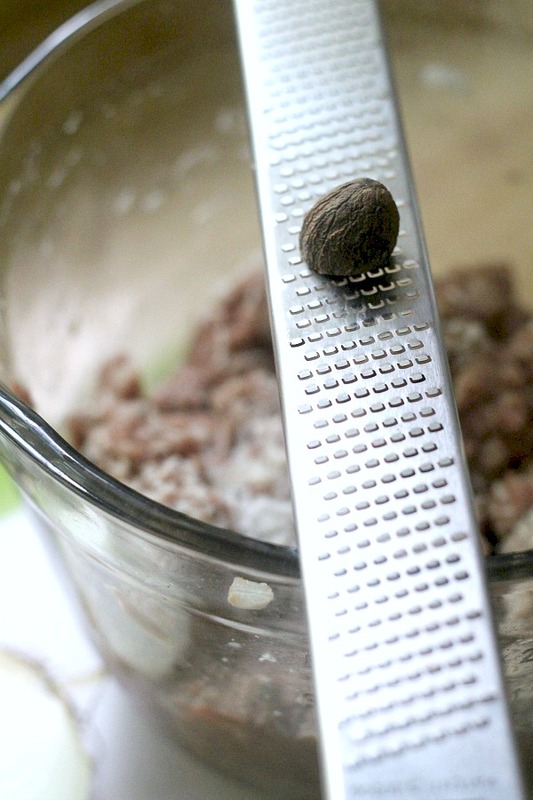 Measure with a small ice cream scoop or by rounded tablespoonfuls and shape into balls. 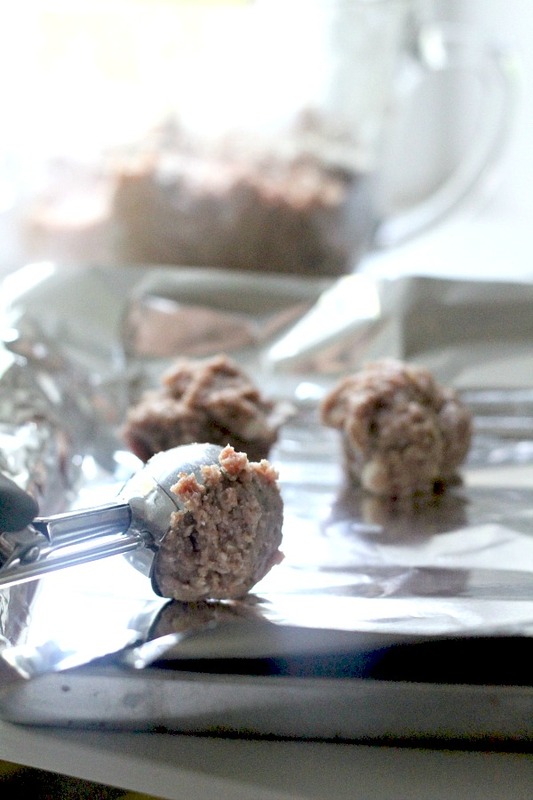 Arrange meatballs on baking sheet. Bake 15-20 minutes, or until cooked through. Meanwhile, melt butter in a large skillet on medium-high heat. Stir in flour, bouillon granules and pepper. Cook and stir 2 minutes. Gradually add milk, whisking constantly as you pour. Bring to a boil then reduce heat to a simmer, stirring frequently, 6-7 minutes. 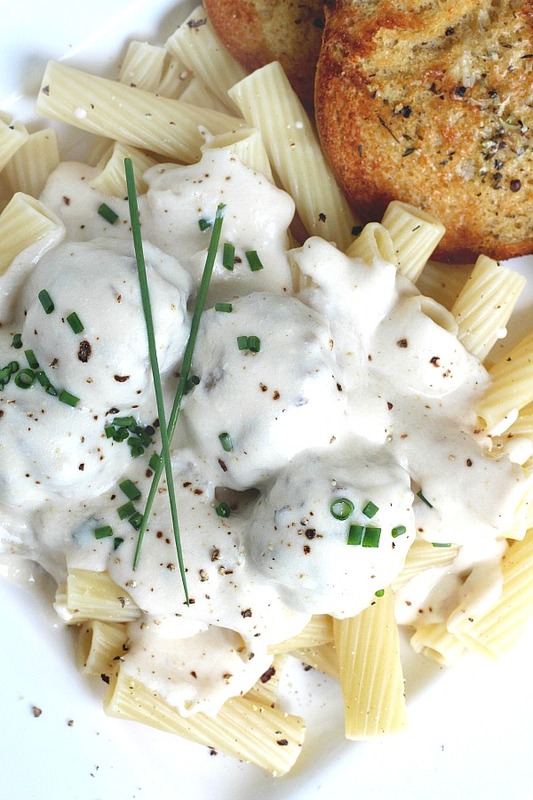 Stir in the sour cream; add meatballs to skillet, cooking until heated through. Serve on top of hot, cooked pasta, egg noodles or rice with loganberry or raspberry jam on the side, if desired. Now all that has made me hungry. 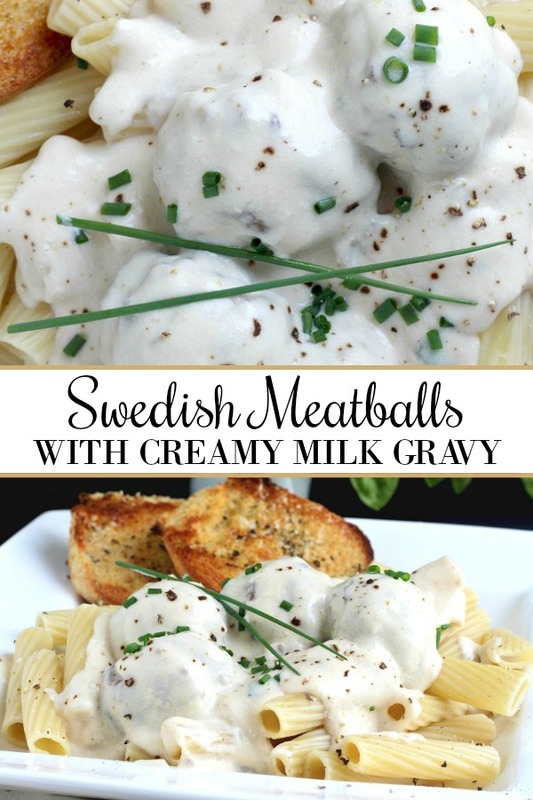 I love Swedish Meatballs and your recipe sounds very tempting. I think I will make it for dinner tonight dear friend. 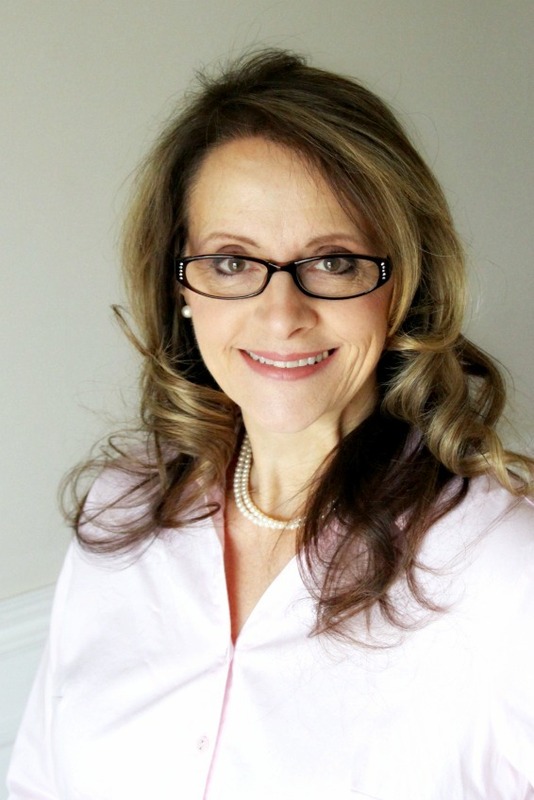 Thank you for sharing and have a happy Fall season.